The best comes last, as the saying goes, and the last bit of Portugal before the country drops into the Atlantic ocean is no exception. 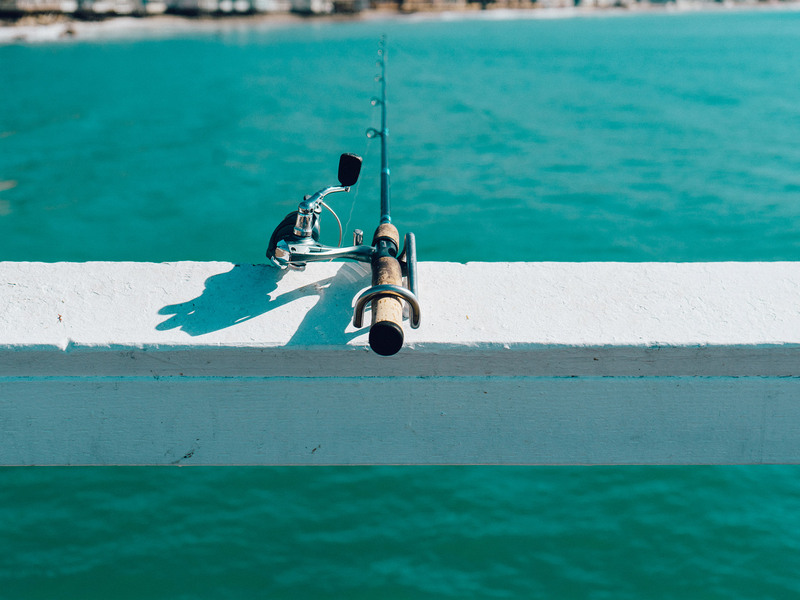 Pristine beaches and secluded mountain slopes, ancient culture and vibrant expatriot hotspots, quiet villages and buzzing nightlife, and last but not least a local cusine that is as delicious and diverse as the Algarve itself. 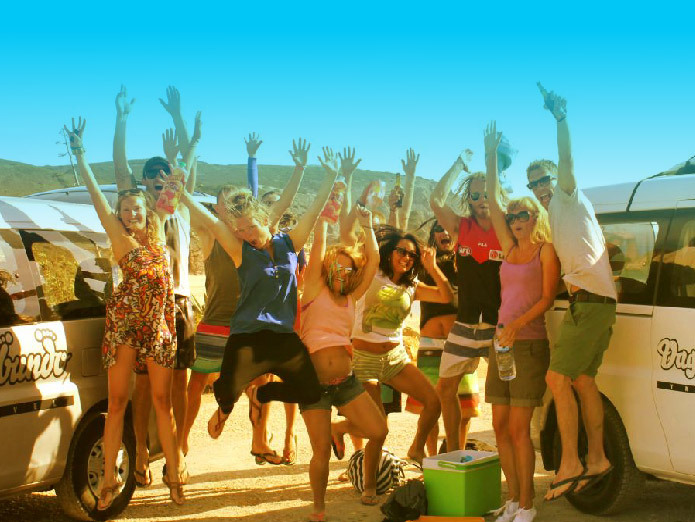 Whether you’re here for 1 week or 1 year – there’s simply too much to experience it all. In other words, it’s virtually impossible to get bored. You can book any of the below listed activites over us. There’s a good reason why yoga is so popular: It really does increase the general well-being of both your body and your mind. Also, it’s a perfect counterpart for all watersports. Explaining color to a blind person and explaining surfing to someone who’s never surfed is very similar. You simply have to experience the magic first-hand. The earlier you start, the better your skills develop. Kids learn way quicker than adults, but they need special training. 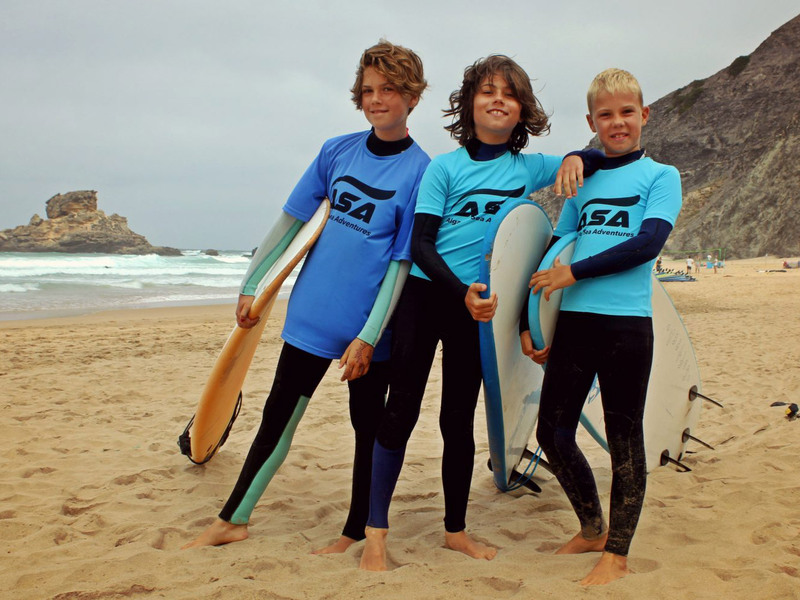 That’s where Kid’s Surf Lessons come into play. 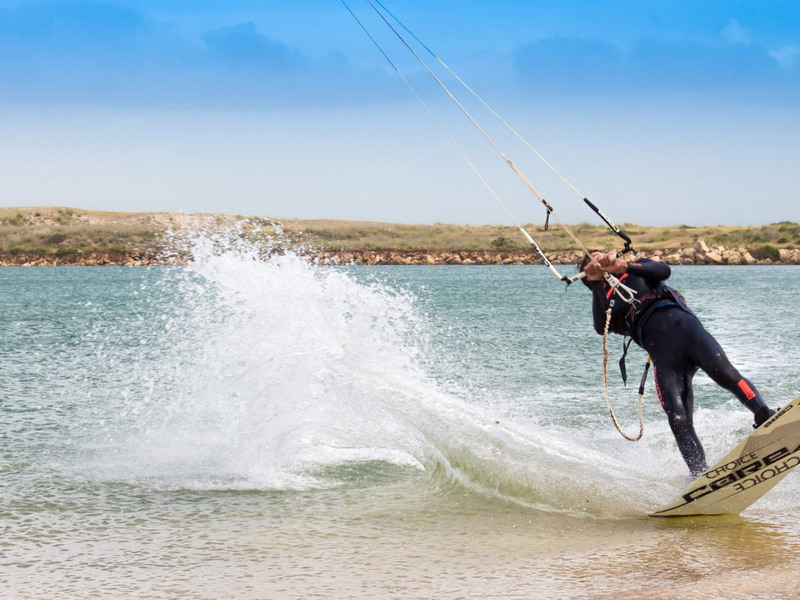 The landscape zipping by at high speed, the sun and the salty spray on your face, the feeling of adrenalin-charged calmness… there’s nothing like kite surfing! 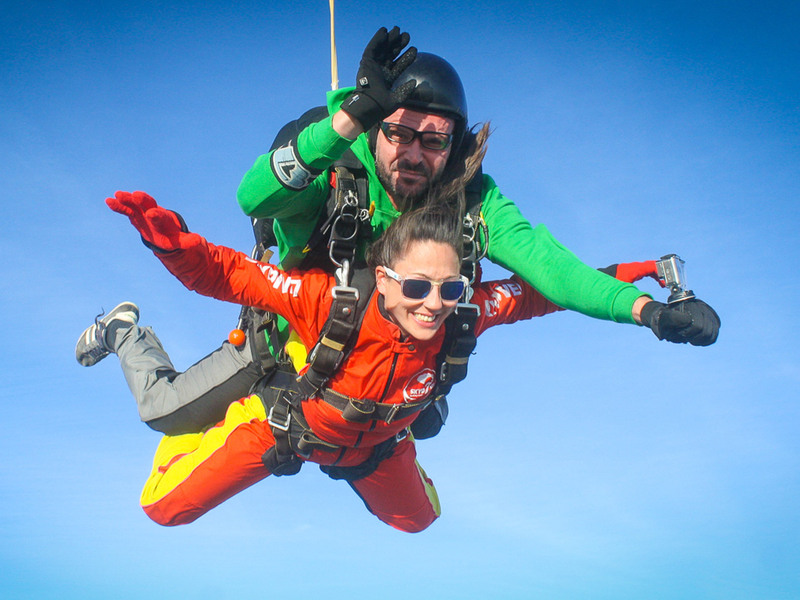 Some consider it the gold standard for adrenalin, others the ancient dream of flying come true. Here in Algarve it comes with the bonus of spectacular ocean and earth views. 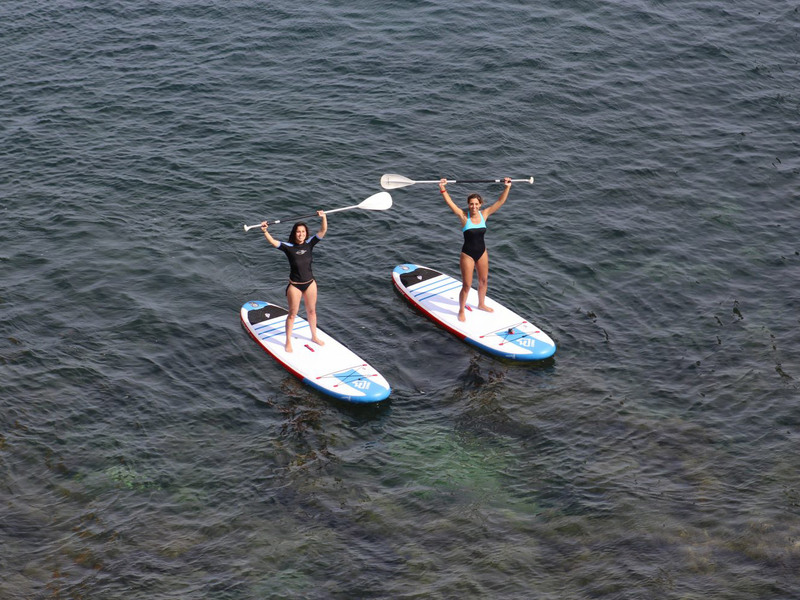 No matter what’s your age, no matter what’s your fitness level: Stand Up Paddleboarding is instant fun! It’s like walking on the water – just better. 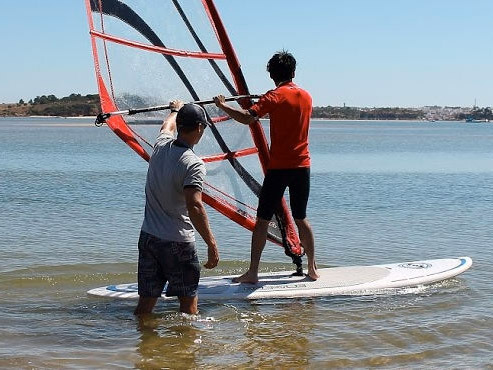 The ancient art of sailing right at your hands: Extremely consistent wind conditions make the Algarve a hotspot for windsurfers, be it beginners or experts. Short walk or a day-long hike: Just 200 metres from the Ocean Spirits Camp you’ll find yourself on one of the trails along the spectacular cliffs of this region. It’s also an extremely scenic option for running. 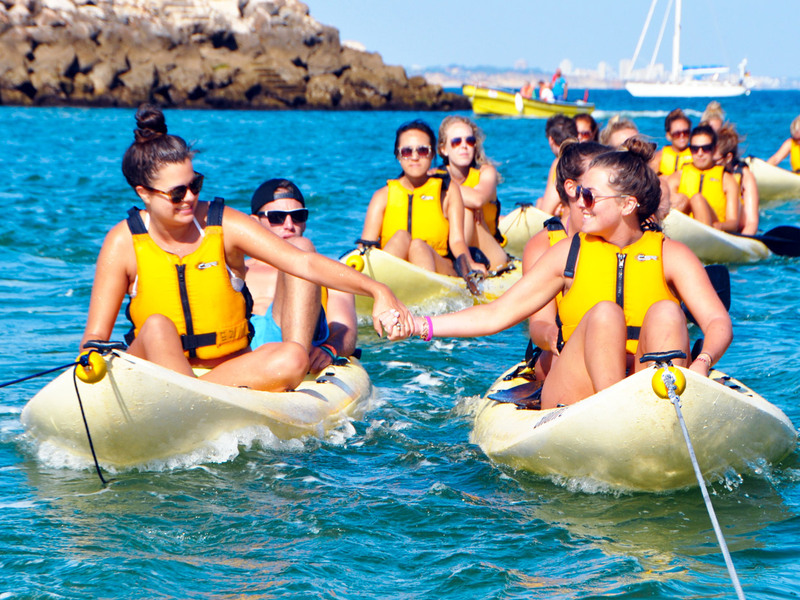 An extremely fun, easy and laid-back way to explore the coastline of the Algarve with its hidden beaches and caves. What’s even better than having dozens of excellent surf spots just around the corner? Having a laid-back local driving you to the one that works best for wave and wind conditions of the day! 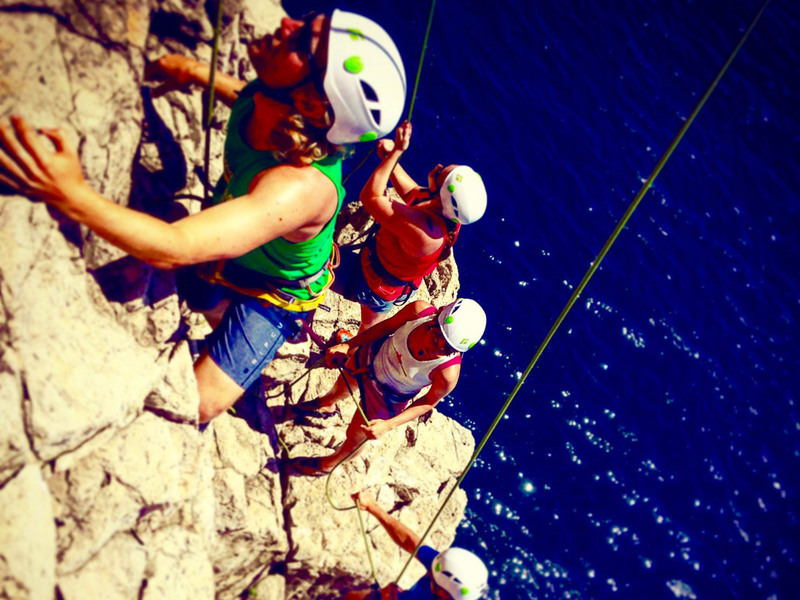 Whether you want to experience the magic of rock climbing for the first time, or you already have skills and want to enjoy deep water soloing or bouldering – this is the perfect place. 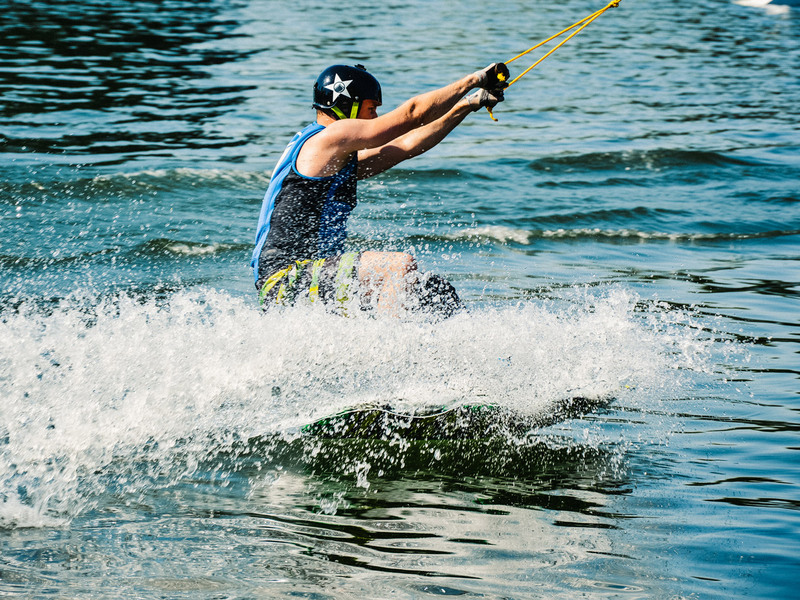 Want to loosen up your tight muscles after some days of intense water practise? 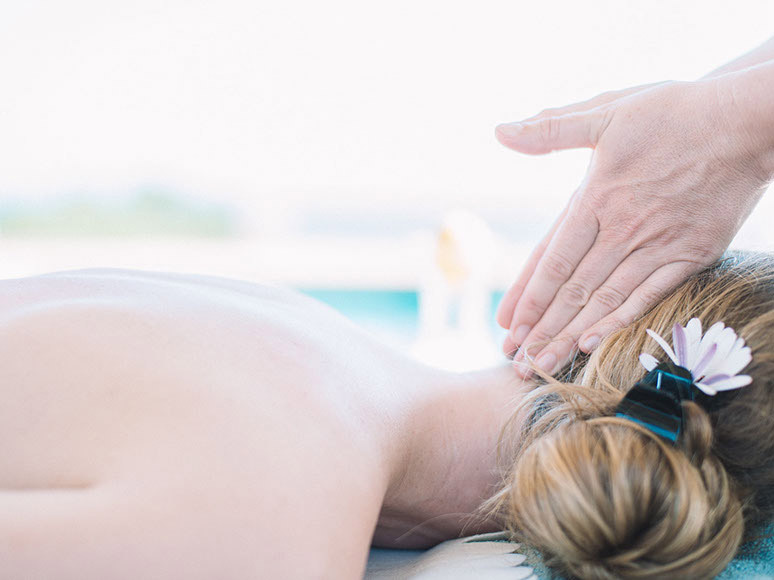 Or just add that extra dose of relaxation to your vacation? Then a nice massage is just what you need! 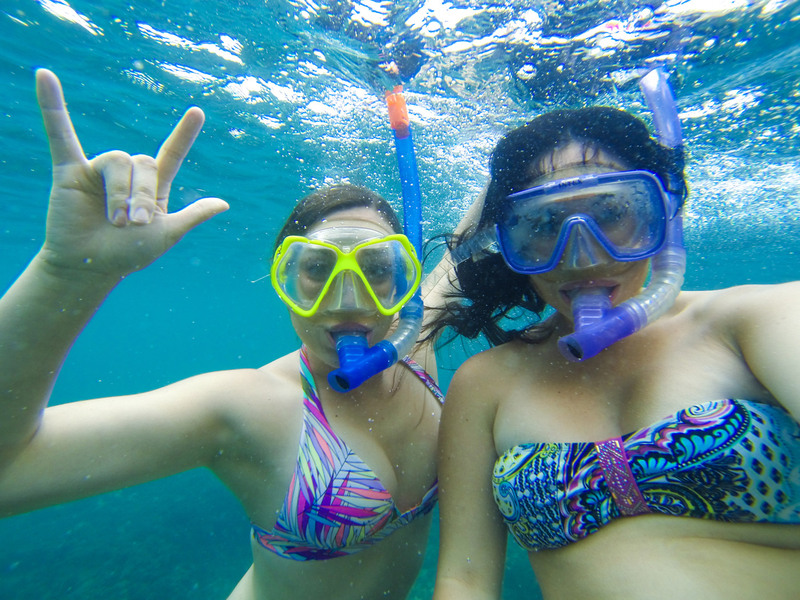 Turn your body into a submarine and explore the lively underwater world of the Algarve: Snorkeling is super easy and super fun for everyone who can swim! 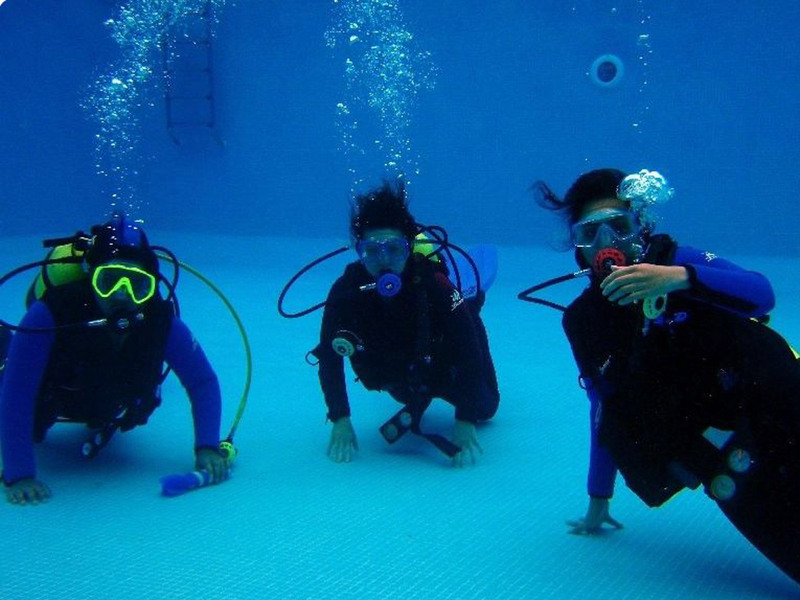 Some people say scuba diving is as close as it gets to flying. Great visibility and a busy marine life make recreational diving in the Algarve a mesmerizing experience. 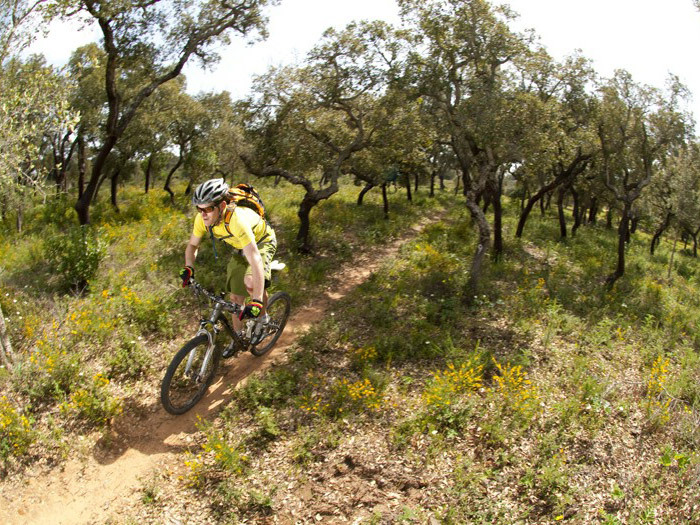 From laid-back day tours through the picturesque countryside to rapid downhill and freeride adventures: The Algarve has it all. 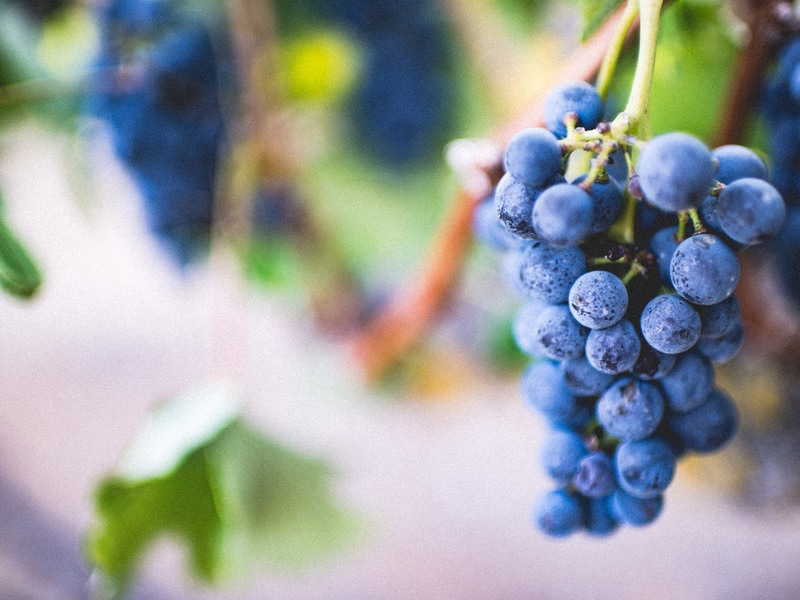 The fine range of local wines in the Algarve reflects the character of this region as a whole: Highly diverse, like nothing you experienced before, and extremely delicious. 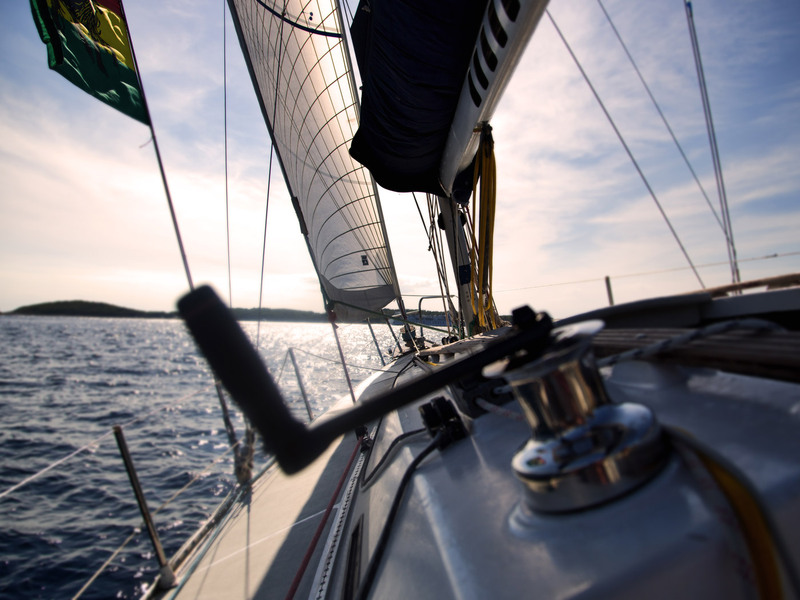 Sailing has been at the heart of Portuguese culture since hundreds of years. So why not explore the beauty of this seafaring nation onboard of a ship? 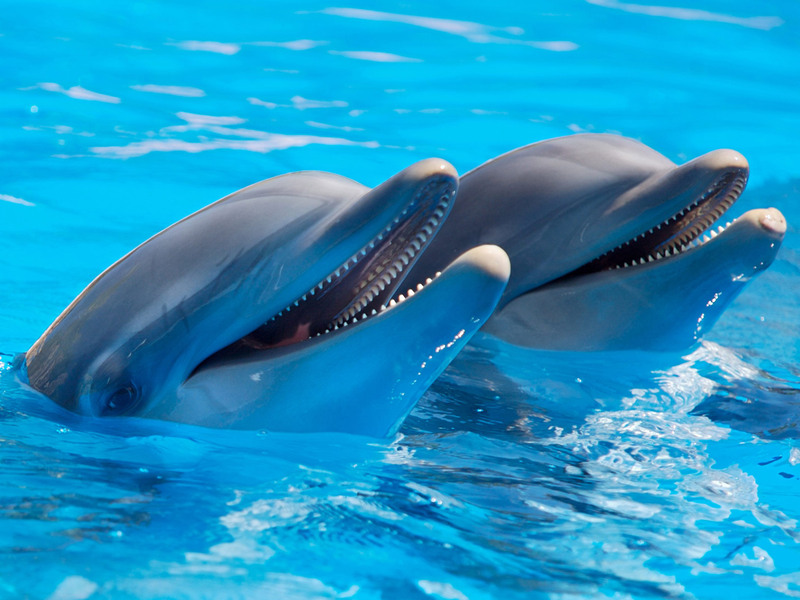 Meet our always cheerful, highly intelligent relatives out at the sea! 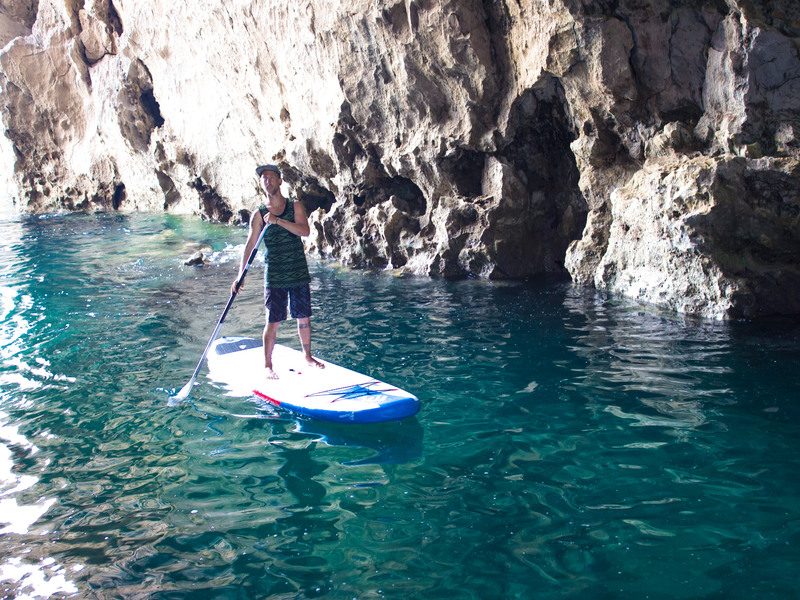 The picturesque pinnacles, secluded beaches and the caves in the cliffs are the most iconic nature sight of the Algarve. 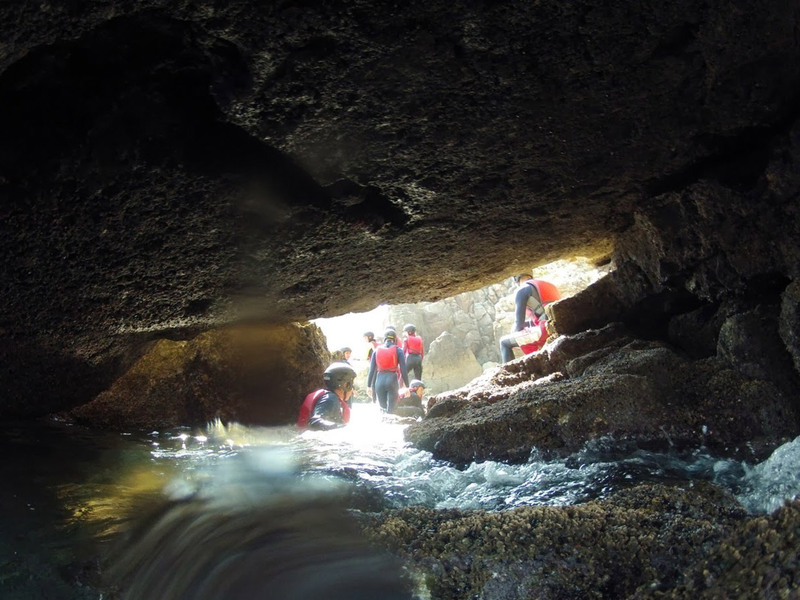 Experience them the only proper way: From the water. 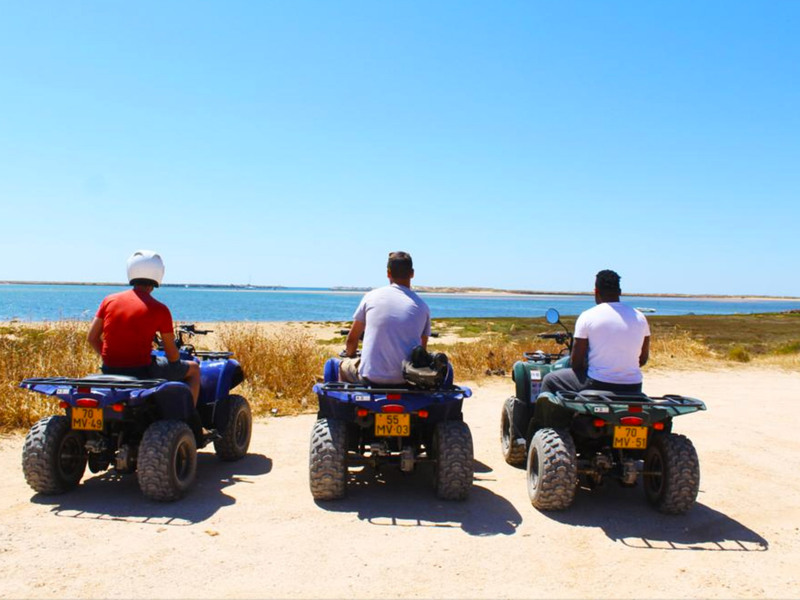 Dusty dirt roads, dry riverbeds, remote lookouts with spectacular panoramic views: A buggy safari is a very special way to experience the Algarve. 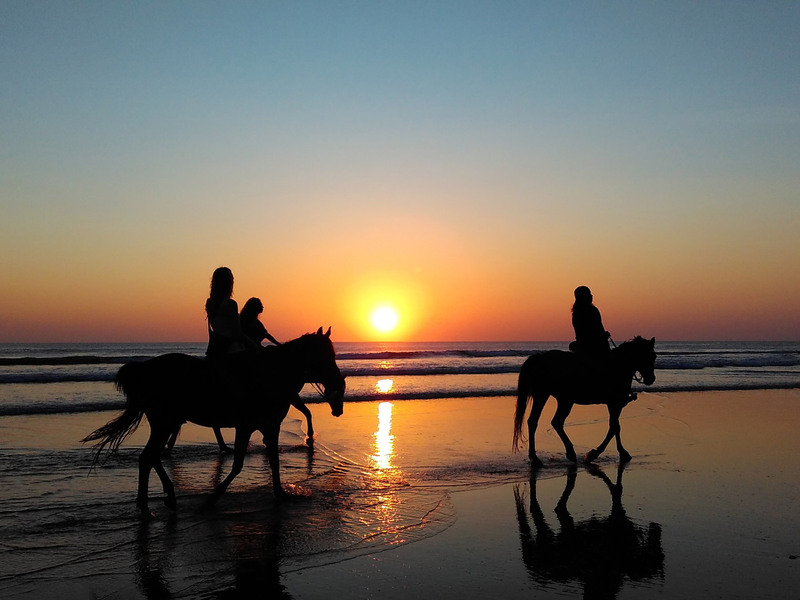 What sailing is for the oceanic part of the Algarve, is horseback riding for its beautiful inland: The most original, traditional and natural way of exploring this region. 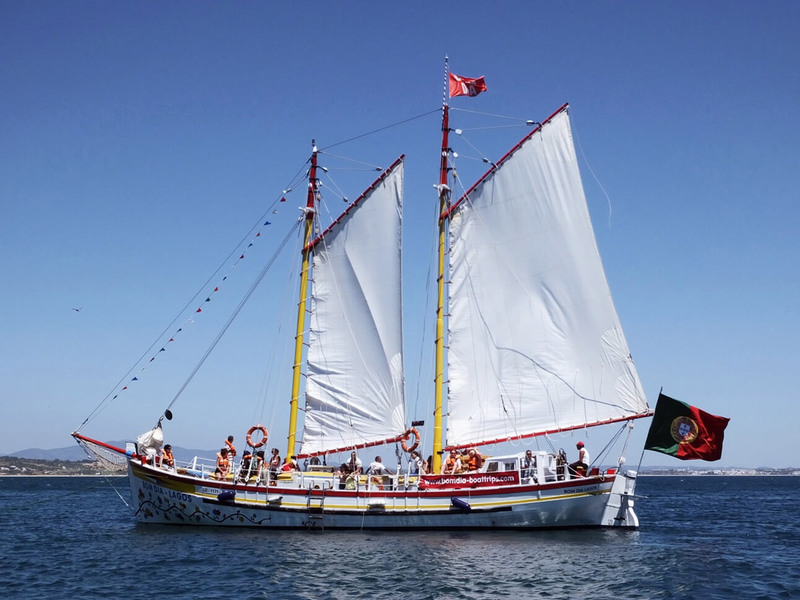 Using the winds to navigate to new horizons is an integral part of the Portuguese identity. That said, it’s not only super fun to sail in these waters, it’s also a way of getting into the spirit of the place. Hidden beaches and secret caves, dramatic cliffs, wild ravines and unspoilt vistas: Explore the stunning coastline of the Algarve like back in the days, when there was no infrastructure. 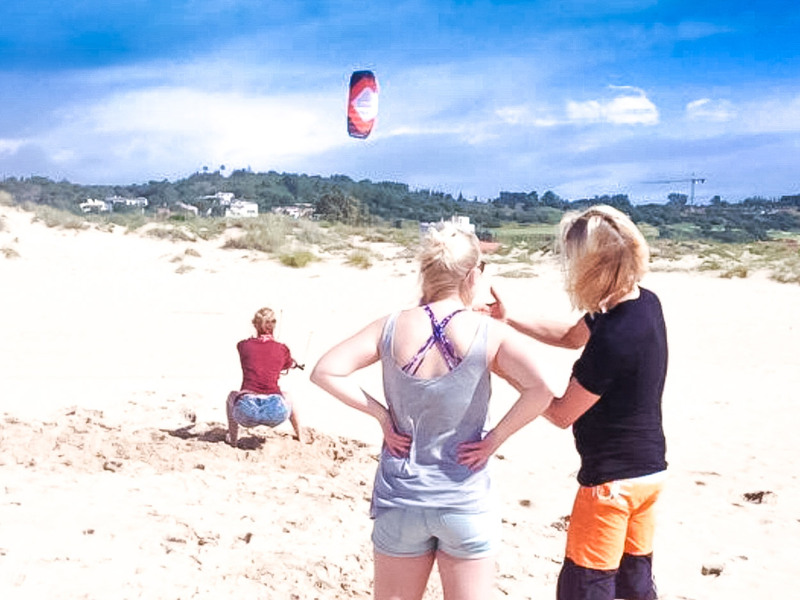 Learn to dance with the element of air as you draw beautiful lines into the sky with a kite. 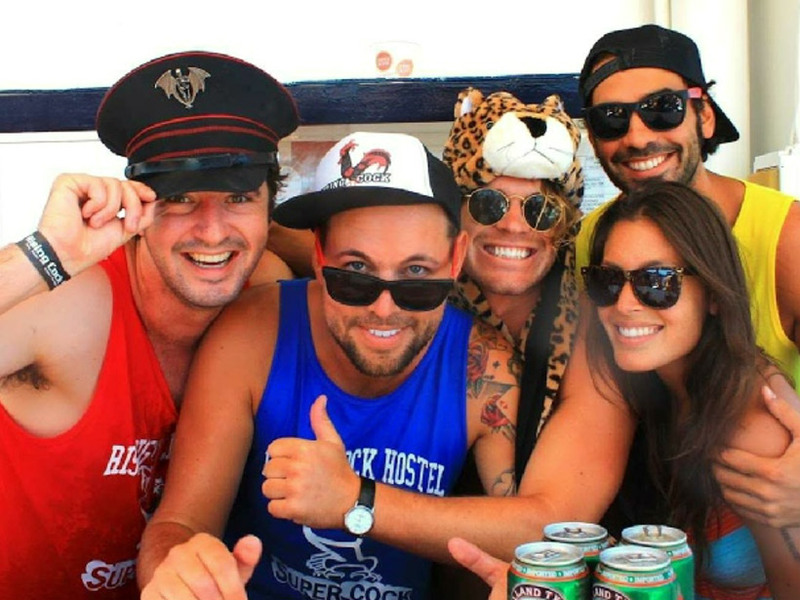 A ship full of modern day pirates, treasure chests full of beers and sangria: Are in for this adventure? Then sign up for the booze cruise! 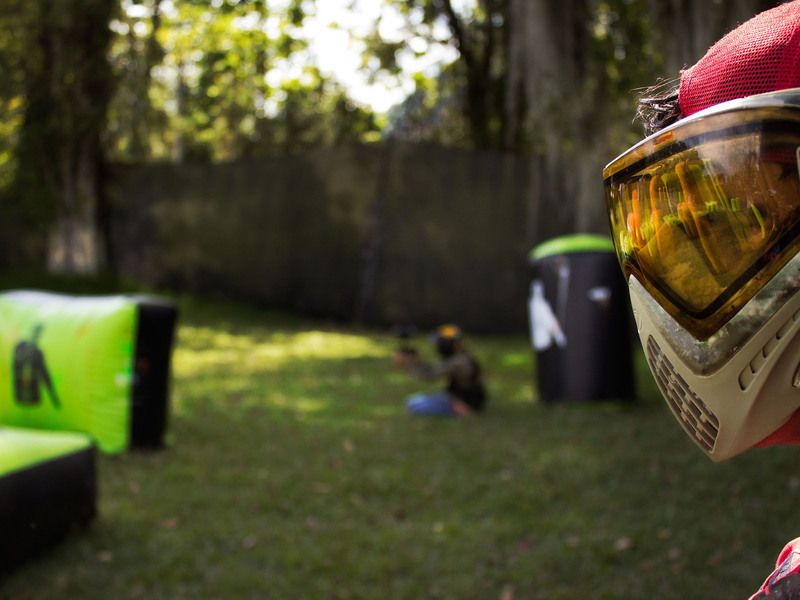 Team spirit, strategy, adrenalin, exercise, tactics, and loads and loads of fun, all wrapped into one: Welcome to the world of paintball! 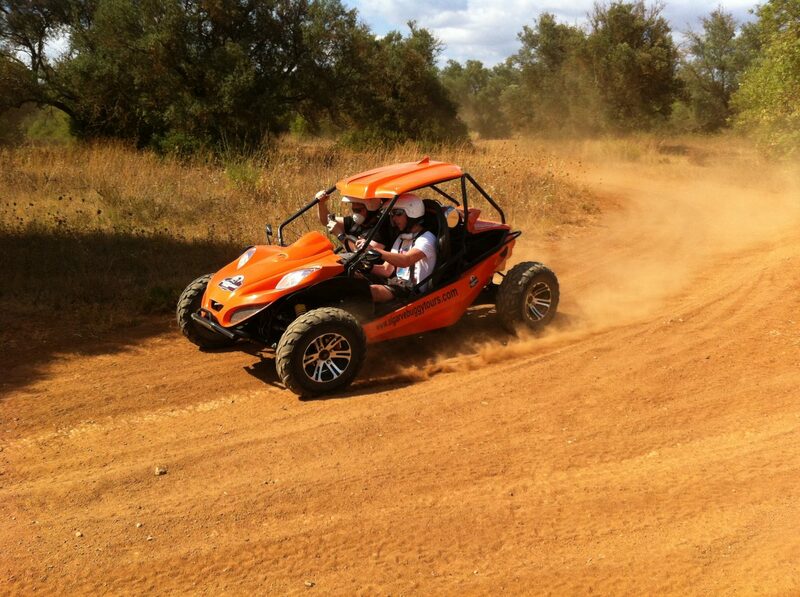 Pure motor power combined with pure nature views: Explore the Algarve like modern day cowboy. Want to have a Feast in the East with Portuguese delicacies, see Sweet Sunsets or get Wasted on the West Coast? Then this is what you’re looking for! 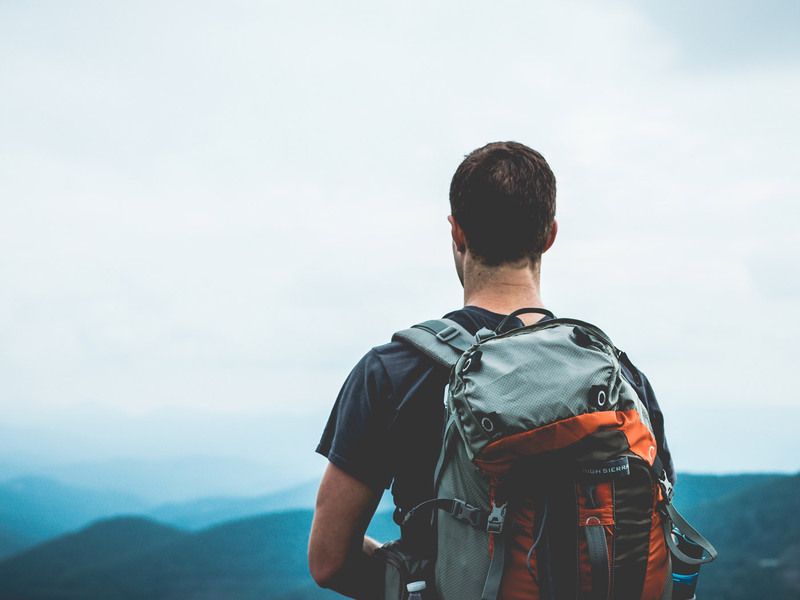 Your vacation and the new experiences that come with it might be a great inspiration for your approach towards physical fitness. 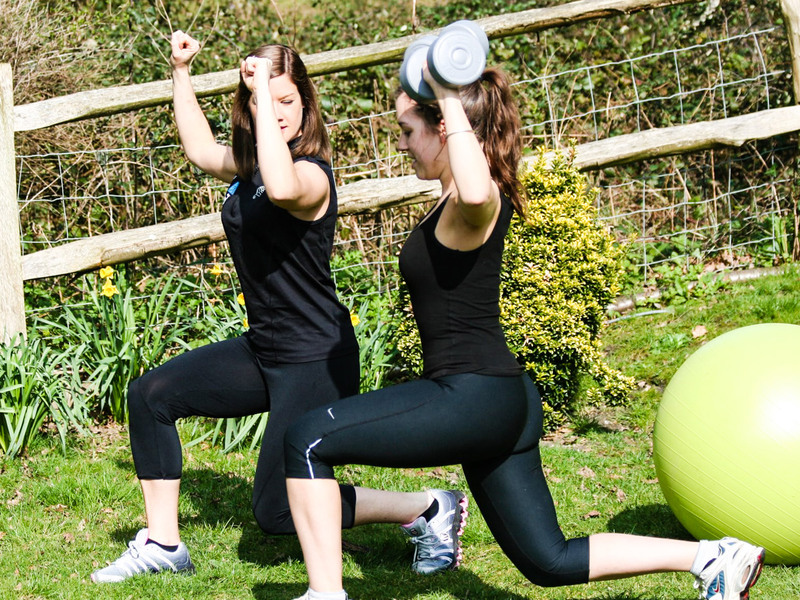 A personal trainer helps you to create a custom-tailored training plan. The thrill of high speeds on the watery element. 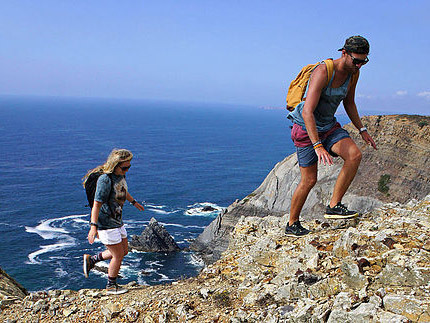 W like wild, W like wonderful, W like West: Experience the unspoilt beauty of this part of the Algarve while hiking along the pristine coastline with its incredible views of land and sea.